Kingpin, an elite manufacturer of stainless steel locknuts, are the top choice for the cable gland sector. We know that, with cable glands coming in all manor of sizes and shapes, finding the right stainless steel locknut is vital, to both the quality and the safety of the cable gland set-up. So we have made it our mission to give you the perfect locknut for your needs. 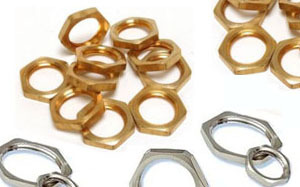 Our stainless steel locknuts are some of the most durable, strong products that we manufacture. They are incredibly hard wearing, so often find their way into cable gland set-ups in harsh conditions. For example, we are a trusted supplier to the oil rig industry. They utilise our stainless steel locknuts in their huge cable gland set-ups, which have to fight against the seawater to supply the entire rig with power. Other heavy duty industries utilise Kingpin’s stainless steel locknuts too, even in electrical set ups that don’t involve cable glands. We make all of our stainless steel locknuts right here in our factory, which enables us to deliver high quality products to our customers every single time. Kingpin just don’t do “sub-par” – all of our products are precision engineered to meet customer demands, guaranteed, with nothing getting lost in translation through third parties. – Products built to a high standard – Kingpin want to remain an industry favourite, so we make sure none of our products are even slightly below par. – Precision machining to match exact specifications – All of our products are fit to purpose, so the size you order is the exact size you’ll get. – A rapid turnaround of parts – Our years of experience, alongside our fantastic range of machinery, means efficient production comes as standard. Earth tags create the bond between the cable gland and the earth, essential for making the gland safe to use. 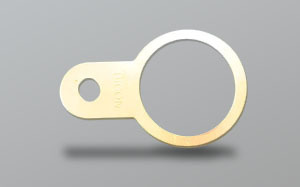 We manufacture earth tags in various sizes and materials. 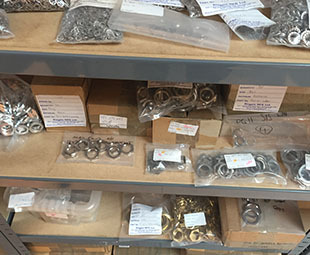 If stainless steel won’t get the job done, don’t fret – we stock several other locknut materials materials, available in any size you may need. 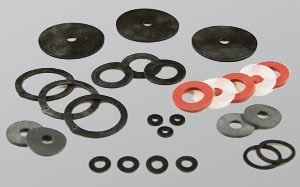 Our third safety accessory, washers help maintain the internal integrity of the gland, by keeping out alien substances. Click above to see the materials and sizes available.